PLANED FOR THE NEXT YEAR . . .
Staff Development . . . Decision-Making Structures . . . Integrating New Forms of Data . . .
Curriculum mapping is a hub to focus the most critical efforts and to shed those that are extraneous to student progress. The electronic nature of communication changes both the time and the space needed for meetings. We meet flexibly using the Internet. Curriculum mapping in conjunction with site-based teaching and learning gives the school a dynamic type of staff development. We educators have so much to accomplish and so many pressures that it is understandable why school leaders perpetually organize groups and subgroups of people to solve the problems. An assessment committee, a scheduling committee, a standards committee, a philosophy committee, and myriad curriculum committees. The groups meet separately, although clearly each group's mission depends on all the other areas. The illusion is that somehow final decisions will seamlessly link with the findings from the committees. One contributing factor to this disarray is the lack of a centralized hub for information and data. The diffusion model creates confusion. As curriculum maps have the potential to become the hub for making decisions about teaching and learning. Focusing the barrage of initiatives and demands into a central database that is accessed from anywhere through the Internet provide relief. Our school have a common electronic town square to bring all the players together. By fusing assessment data with mapping data, we are producing new types of knowledge to give us new types of instructional solutions. Mapping has become an integrating force to address not only curriculum issues, but also programmatic ones. It is easy to record, “What initiatives are integrated and handled directly through mapping?” Responses often include No Child Left Behind legislation, alignment with standards, literacy programs, and new math programs. Mapping has given our educators a central forum and a place to reach into each classroom. At the same time, helps us to step back and see the wide-angle view about dealing with new demands. To identify key causes for fragmentation in our institution and to make a case for the “hub effect”. Suggesting ways to rethink decision-making structures, integrate data, and create powerful staff development responses. The center of the wheel is a grounding force that holds the spokes together and allows for forward movement. The continual complaints about too many initiatives, too little time, and too much waste for too few results drain a school's energy. With commitment and imagination, mapping has become a liberating solution to some of those perpetual problems. Some Causes for Fragmented Decision Making? Obviously, curriculum comes from somewhere, whether it is dictated by a education department or constructed by learners. Following the flow of decision making in educational settings reveals the inadequacies of our current decision-making schemes. One extreme is that decisions are made in the isolation of the teacher's classroom. Feeling pummeled by the outside pounding of tests and standards, a teacher can easily hide and simply turn to the immediacy of the classroom. It is not surprising that many teachers burrow in their rooms with all that they know about their students. There is no place to take the information. The other extreme is overdrive, oversight, and Orwellian control. A conforming mentality toward standardization hides the real agenda of fear. We are afraid that we cannot meet the needs of the learners, so at least we will control everything that we can. The tendency toward a cookie-cutter, one-size-fits-all approach is also understandable. Leadership feels just as pummeled by the outside pressure of tests and standards. The reaction to national and local assessment data is often to form another committee or, in a broad fashion, to throw a workshop at the general areas of concern for teachers. If we step back, it is clear that the intentions are worthy, but they are not formally connected with the ongoing daily experience of students actually receiving instruction over the years. A meticulous point–counterpoint diagnosis and a prescription linking assessment data and the curriculum are a rarity. Need of a decision-making alternative rises, because students are the victims of those extreme tendencies. Curriculum mapping shifts the flow of information and the means of presenting the information. It allows for the elimination of extraneous and needless committees. It provides a focal point at the site for all who are concerned with a specific group of learners. Because mapping programs house all tiers of data needed in a school, mapping does, indeed, become an integrating hub. The integration model creates clarity. It does not eliminate conflict in decision making, but rather it focuses conflict into productive discussion and debate. Perhaps one of the reasons for anger and frustration in our schools centers around people who are working very hard but in isolation. With a new level of integrated and dynamic data, school can begin to plan and to create schedules and structures that support cumulative decision-making patterns. With mapping data being electronic, fluid, and accessible to everyone through the Internet, a new kind of decision-making structure is not only possible but also crucial. But if mapping is superimposed on an old decision-making structure, there is a culture clash. It is a clash between a 21st-century data format and a 19th-century committee structure. What is needed is a forward-looking structure that is based on the actual pattern and flow of the student population. In Mapping the Big Picture: Integrating Curriculum and Assessment it is clear that we refocus school decision-making structures so it enables the school to design for the future. Move toward developing site-based teaching and learning councils, they effectively use a new form of data through a curriculum map. With a more streamlined form for deliberation and a more dynamic database to consider, our school is poised to deliver a higher level of instruction. In fact, by the old-style curriculum committees and diffused decision patterns from the past attempt to use contemporary data through maps. Maps can become interesting forms of information that have no place to go. Mapping used to become “one more thing we have to deal with in the school.” The reverse is also true. If an effective decision-making structure uses old forms of data, then the resulting decisions are more likely to be flawed because the source information is not accurate. In short, form and function need to match. Thus curriculum mapping provided the hub for effective decision making as teachers enter ongoing data, review those data with other teachers who share their students, and take apart assessment data to find clues to what students need. Stepping back from our traditional, or in some instances antiquated, scheduling formats is a natural outgrowth of mapping. Practical questions emerge, such as who should be meeting with whom. Who should be meeting with whom to maximise student learning? What existing committees could be eliminated? How might our schedule be rethought to support communication between the right people? When can electronic meetings effectively replace appointment-based committee work? The decisions made about how those structures are shaped have a direct effect on curriculum, assessment, and instruction. The habituated routine of working within burdensome structures shackles efforts to grow an enriched curriculum. Let us return to the question of, “Who is meeting with whom?” What becomes clear is that we are now necessarily meeting with the right people to enhance learning. It becomes equally clear that decisions about the structure of the schedule make optimum meeting times prohibitive. The meetings are the most frequent, common, and exclusive focus of planning in elementary schools. The 3rd grade teachers meet together regularly, if not daily. This fact is disturbing when considering the potential effect. Why have people meeting regularly, if not daily, who do not share the same group of students? A student moves from kindergarten to 1st to 2nd to 3rd grade, not across 3rd grade. It is understandable that 3rd grade teachers can benefit from periodic shared experiences, but careful planning rarely occurs on an ongoing basis along the actual path the student follows. Consider high school. The rarest meeting is for all teachers who teach the same students in the ninth grade to sit together and actually examine their students' work. However, the actual pattern involving freshman students is to progress from teacher to teacher. The schedule is designed to ensure that department meetings occur all the time. Again, as in the elementary example, there is a purpose for meeting periodically in a department, but students actually need much greater communication between the chain of care among the teachers who are responsible for their days in school. When one works in a business, the usual protocol is to identify a problem and to determine the best grouping of people to solve the problem. Education is a business — the growth business. It cultivates the growth of our learners, translates the growth of new knowledge, and builds professional growth. Who meet together? 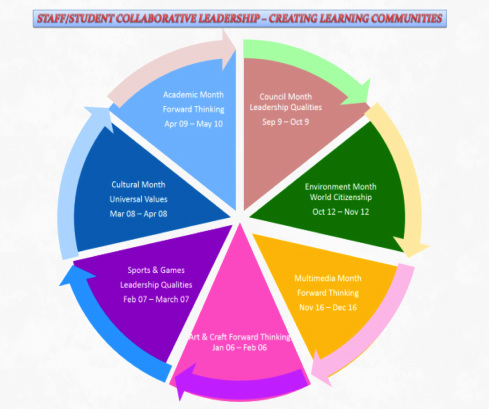 When one considers the needs of students at different stages during their journey through school, ongoing vertical meetings in elementary schools make good sense. In the precious early years of schooling, students need to have their pre K–2 teachers meeting and sharing regularly. When teachers meet twice a year on a professional day. On those days, the one group of teachers who really could make a big difference in helping students learn to read spend two hours in a “breakout” meeting after a keynote session in the auditorium. Students who are showing early signs of struggle in developing language capacity can be red-flagged by the vertical group. Performance data, coupled with teacher observation material, can serve to inform curriculum adjustments on the map in a cumulative decision-making pattern. The key years — the most important years — for building literacy, and our school is organized to provide regular, ongoing review of student progress among the team that is most likely to make these key years productive. With mapping data, the review teams have immediate access to ongoing documentation. When a grade-level meeting is warranted or scheduled, the same maps assist the value of periodic sharing among grade-level teachers in terms of developing strategies to more effectively do their jobs. Just as it is desirable for elementary teachers to meet regularly in a vertical pattern to help monitor student progress over time and across grades, it is also true for high school teachers to meet frequently in a horizontal pattern across subjects. In a high school students have a group of teachers each day; they do not attend a department. As stated, the rarest of meetings, for example, is for all people who teach 9th grade to be in one room together. Nonetheless, departments do have a prominent and crucial role in planning and preparing curriculum work, but they need to clarify what that role is and what it is not. If a physics teacher is concerned about performance but meets on a regular basis only with the science department, then an obvious gap develops. A key variable when determining reasoning in physics is the student's mathematical conceptual understanding of equations. With mapping, teachers in math and science have immediate electronic access to a warehouse of data about the vertical route from middle school into high school in both the sciences and mathematics. With many on the high school staff concerned about reading and writing strategies, working in departmental fortresses will be insufficient as a solution. Site-based work on the curriculum council provides an opportunity to make alterations on maps across a grade level. Again, cumulative decision-making patterns should sustain and follow the actual path of the learner through school. There is a natural medical analogy when discussing curriculum mapping and meetings. If a patient is admitted to the hospital for surgery, who among the professionals should meet to give the best possible care? Who should meet to work toward ultimate recovery and health? The best interest of the patient is served when the surgeon works with the chain of care — from the internal medicine physician, to the receiving nurse, to the anesthesiologist, to the pulmonary specialist, to the nutritionist. Decisions are be made among the actual people who are going to attend to the patient's needs. Certainly surgeons require and depend on professional dialogue with their surgeon peer group. One place where there is no opportunity for thoughtful planning and preparation is the emergency room, where medical personnel know almost nothing about the prior record or experience of each arriving patient. There is an urgent, anxious tone to the set of decisions that must be made quickly without benefit of a strong understanding of the patient's experience. Sometimes it seems as if we give an emergency room education, because we have so little good information about our learners. We should not accede the decision-making authority to habitual formats such as grade level or department groupings. Neither should we send it to a distant galaxy of committees far from the child in the classroom. Nor should we encourage the micro-management isolationism of one teacher out of the many whom each student will deal with. Our clear and sensible alternative is to vest the greatest authority to the collection of teachers at the site who can actually make a difference when acting collectively. Site-based teaching and learning councils coupled with an active electronic database of curriculum maps and assessment data has replace our old way of working and has become the decision-making hub. Task forces with targeted projects are organized flexibly to respond to specific emerging needs. When the work of a task force is completed, it is disbanded. Task forces are different from the rigidly formed committees that often have little contact with one another. When specific concerns emerge from a mapping review, a study group is formed to examine problems. It works at the behest of the site-based council or the cabinet. Building councils and cabinets establish a task force to become a targeted work group to pursue pertinent research and to develop solutions. The task force members include a collection of people who are best suited to address problems. Sometimes this grouping means people who are not in the same department. In short, educators go only to those meetings that they need to attend and should have the best data available. We do not conduct meetings of committees out of habit. A flexible and goal-oriented group is possible through the electronic accessibility of a curriculum map. In the past, it was not easy to establish problem-responsive working groups, because there was no immediate access to centralized data. Technology is challenging us to rethink not only paper and pencil outcomes, but also the very way we organize to wrestle with organizational formats and systems. Who currently meets with whom and for what purpose? What are the actual teacher patterns our students follow over the day and over the years? What number of teachers might constitute a representative site council? How often should we meet to help our learners? What types of in-person meetings that we now have could be replaced with electronic meetings? What might the job description be for the council? Should the council positions rotate? What committees can we shed? What task forces or study teams might be good to begin assisting the council? The natural outgrowth of this self-examination is that school rethinks the time, content, and direction of staff development. Not only can the hub effect create more integrated decision-making functions, but also it can, in turn, create more sophisticated, nuanced, and productive staff development. Step back and look at the range of people in any given faculty, and you will see a range of professional needs and possibilities. Cookie-cutter instruction for students doesn't work for professionals either. Too many states and districts require a certain number of in-service credits for “just-show-up-and-prove-you-have-a-pulse” experiences. The time, money, and effort that are poured into staff development is upgraded too. Hence Curriculum mapping in conjunction with site-based teaching and learning gives the school a dynamic type of staff development. We develop our staff on the basis of what the students in the school need the staff to develop. The analysis of assessment data gives the site-based council a clear direction for professional development. Teacher growth clearly correspond to student growth. Staff development matches to demonstrable gains in student performance. As individual teacher needs vary, staff development focuses on what individual teachers need so they can address the precise student performance. Instead of pro forma staff development, where each teacher takes arbitrary credits through a college or in-service program, professional development is targeted precisely toward what the teachers need in the schools. This philosophy means that different teachers are likely to be functioning at different levels of expertise. Obviously, if a group of teachers needs technology skills to enable the group to map, then staff development helps the group do so. If a group of teachers has had limited experience in writing curriculum, then staff development helps that group. If there is a need for learning about item analysis of testing data, then the teachers who need this work participate. We think imaginatively about venues for professional development. Online courses appear right on a map that might assist teachers in their work. Like a science department chair might direct a group of teachers to a PBS Concept to Classroom course on WebQuests to update and improve the quality of the group's investigative work. The hyperlink could appear right on the teachers' maps. Teachers have different backgrounds and competencies for different purposes, yet sometimes the professional development is too uniform. Adult professionals resent attending workshops that do not match their needs. Adult professionals also recognize that there are always new practices and new knowledge to learn. Following the prologue planning stage, the planners and faculty members enter data into their maps. Two distinctive skills are requisite for successful data entry: proficiency and experience with writing and designing curriculum, and ease and competence with computer usage. If we look at Figure and use a quadrant model for the two aforementioned skills, the school leadership has start to get a handle on how to set up appropriately targeted strategies for staff development. Note that teachers in Quadrant 1 have high competence in curriculum writing but are novices at the computer. Does it not make good sense that they could use computer lab time to get help in transferring their curriculum work to the computer? This approach is in contrast to those teachers in Quadrant 2 who are capable of “taking off” with mapping by virtue of their curriculum experience and computer knowhow. A straightforward demonstration of data entry will likely suffice. Those teachers in Quadrant 3 are likely to be individuals who are new to teaching but are very comfortable with technology. There is even the possibility of pairing these teachers with those in Quadrant 1. The final group probably is struggling on many fronts and will need particular care and attention from staff developers. 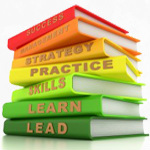 In short, staff development grouping and strategies support the needs of the professionals in the school. Whether training comes through a workshop, an online course, a videoconference, a site visit, a study group, a conference, a peer coaching session, or a mentor, mapping can serve as a common reference point for participants. As we have made a tremendous contribution in their writing by linking curriculum mapping to the mentoring process. It has helped us structure experiences for new teachers during the mentoring year, and we advocate the use of curriculum maps to foster communication between the new teacher and the mentor. We are even mapping the mapping process, as well as mapping professional development plans. Many new teachers use projected maps as a planning tool with mentors. Exciting professional development programs, such as Understanding by Design, Dimensions of Learning, Concept-Based Curriculum, or Differentiated Instruction, mapping not only provides, but also beckons, the integration of those programs into the maps. The actual templates of maps suggest the inclusion of those instructional features. Key concepts at the basis of curriculum planning are entered in the content and essential question entry points. With Differentiated Instruction, we click on the map and place a tab that says “differentiated instruction” and “go deeper” into our lesson plans as we document the grouping of learners and the corresponding instructional adjustments that have been made. In this way the map is a literal hub for initiatives. Staff have a more informed conception of curriculum, a teacher's daily decisions about how to deliver instruction not only affect student achievement in that classroom but also future student achievement, for it is assumed that students will be entering the next classroom prepared to handle a more sophisticated or more expansive level of work. Speed is not the only advantage that technology provides to educational decision making. Merging data sources will help us create new knowledge. This new knowledge gives us new solutions, and provide corresponding new directions for staff development. Curriculum mapping and its electronic format lead us toward including a focus on student curriculum maps, where learners can document their own progress and then communicate that progress to teachers. Homework from the teacher's map to the student's map seems a logical outgrowth. With the increase in bandwidth and the access to a wide array of media, it is easy to envision assignments given in direct reference to documentary footage or videoconferencing and netcam interviews. Parents are involved with direct communication as they relate to the map that assists in describing the path the student is on during the school year. More access to technology and the access itself becomes easier, more reliable, and more imaginative. Unquestionably, the wireless and compact hardware, promote easy access to maps from any location. The map is a traveling hub. We are able to communicate not only with colleagues in our school, but also with colleagues across learning communities. Web site resources exist today link teachers all over the world. Those links will continue to proliferate. Our students are growing into adults who will create new solutions to world problems. We owe it to them to join the 21st century and to focus our work. Curriculum mapping not only provides us with a hub for focusing our current efforts, but also provides us with a tool to launch curriculum plans for our students' futures.